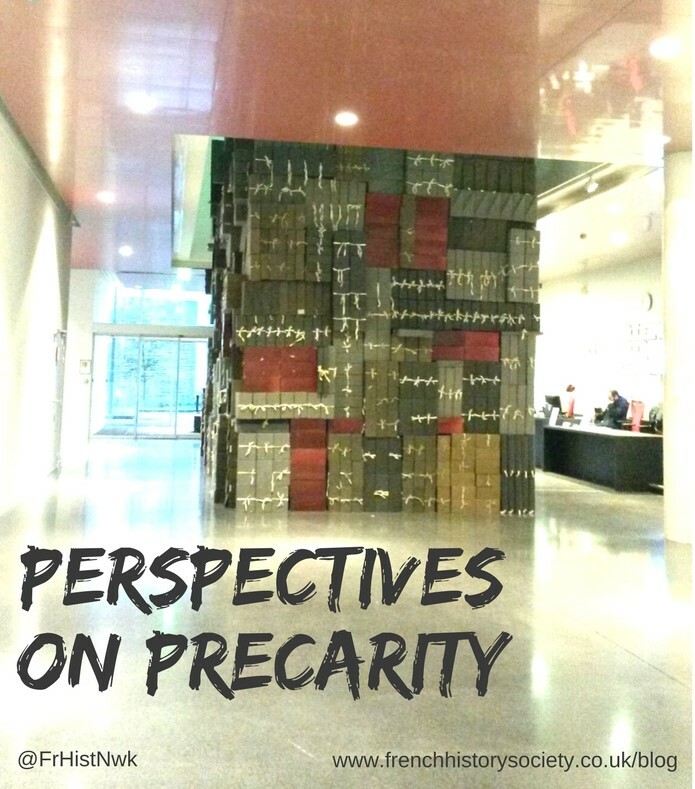 In the fourth and final post of our series presenting the results of our survey on precarity amongst early-career researchers and their students in French History, we look at differences between hiring practices and the impact of these differences on individual careers as well as upon teaching and learning. What did our respondents have to say about the ways in which their institutions have recognized, categorized and rewarded their work? • “assuming temporary staff will be fine teaching far outside their comfort zone (often we become good at it, but it seems unfair to students who expect specialists)”. The common practice of advertising academic jobs as Teaching Fellowships rather than as lectureships had few fans (in fact only one “cautious supporter” who went on to criticise the practice). There was a strong sense that it contributed to the sedimentation of a hierarchical, “two-tier system” to separate those who were paid to research from those who, whilst still conducting research, were neither recognised nor paid for it. Many respondents noted the hypocrisy of departments which, whilst unwilling to include time and money for research in contracts, expect nonetheless that TFs engage in research-led teaching. Some respondents have been advised against accepting TFs, in more or less subtle terms. One recalled that: “My supervisor said teaching fellowships were getting ECRs to do other people’s heavy lifting. I’d agree!”, whilst another remembers their supervisor advising them to work (“in McDonalds if necessary”) and write to publish on the side rather than accepting “exploitative” teaching work that would prevent them from building a publication profile. A respondent noted that, having held a (temporary) Lectureship, they “would not now even apply for a Teaching Fellowship” and that, having now realised how comparatively exploitative they are, would rather leave academia than accept one. Institutions, as more than one response made clear, could help by being “more ‘generous’ with their job titles” where a teaching-heavy temporary lectureship and a teaching fellowship more often than not amount to the same thing in practice, but carry very different amounts of prestige and indeed are paid at different grades. We might ultimately conclude that departments, by advertising jobs as Teaching Fellowships rather than as Lectureships, are not only denying themselves the opportunity to hire some of the most talented people, but even driving them out of the sector altogether, to where they might gain more stable and well-paid employment in other professions. What further questions need to be asked? What are your experiences? Please share below, or via #FHNPrecarity on Twitter. Sarah Wood and Ellen Crabtree would like to thank all the respondents who took part in the survey for candidly sharing their experiences.